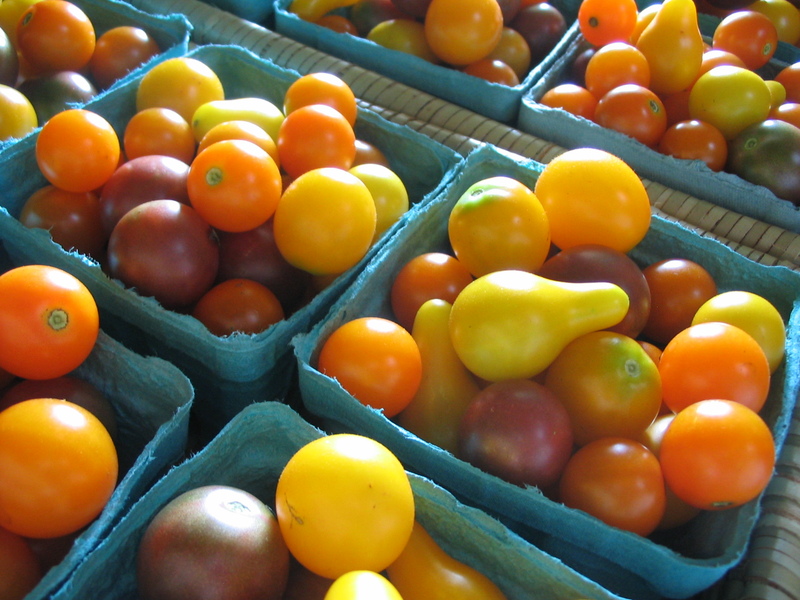 We have tons of cherry tomatoes this time of year. 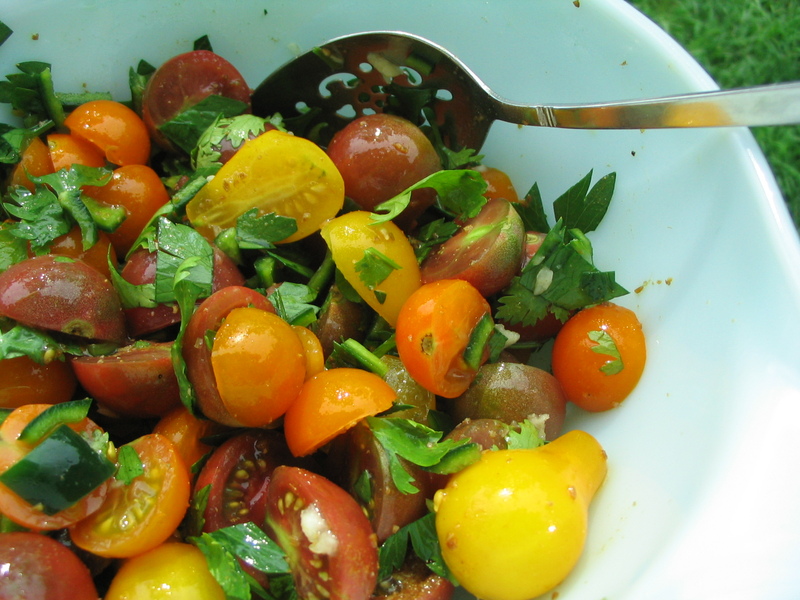 They are yummy right out the box, but also great in a salsa or marinated raw veggie salad. I like using the cherry tomatoes for salsa (instead of slicer tomatoes) because they are so sweet, and they make a nice chunky (but not watery) salsa. Cut up your cherry tomatoes. I usually just cut them in half, but you could cut them smaller if you want something more refined (they’ll be easier to get on your chips but it takes more time to do). Then toss in a bowl with 1 Tablespoon lime juice and 1 Tablespoon apple cider vinegar. I also add a few Tablespoons of chopped fresh cilantro (or parsley), salt to taste, and a chopped jalapeno or poblano pepper. If you want even more depth of flavor add a Tablespoon of olive oil, a few pinches of ground cumin seed, a bit of ground coriander (if you don’t have fresh cilantro) and minced garlic and onion. So good, and if you don’t add olive oil it is fat-free. Of course, those tortilla chips might have a little fat in them. Also good on fajitas or burritos. Well… you probably know what to do with salsa. I’m so in love with the tomato. I’m imagine this really shows off it’s flavour. Also, love the use of lots of different types which really shows that they are proper and not these vetted ones we pick up in supermarkets. We have really enjoyed these varieties. They are black cherry, sun gold, and yellow pear. The sun gold and black cherry are especially delicious!